SOTA EUROPE – July 2nd. Bishop Wilton Wold G/TW-004 – My first SOTA summit activation. Since VK2 (New South Wales in Australia) where I live, isn’t classified yet for SOTA, why not activate a summit in another association – indeed why not in the original SOTA association G? While visiting relatives I got the chance to activate a simple, 1-pointer, summit G/TW-004 Bishop Wilton Wold (known from my childhood as Garrowby Hill). 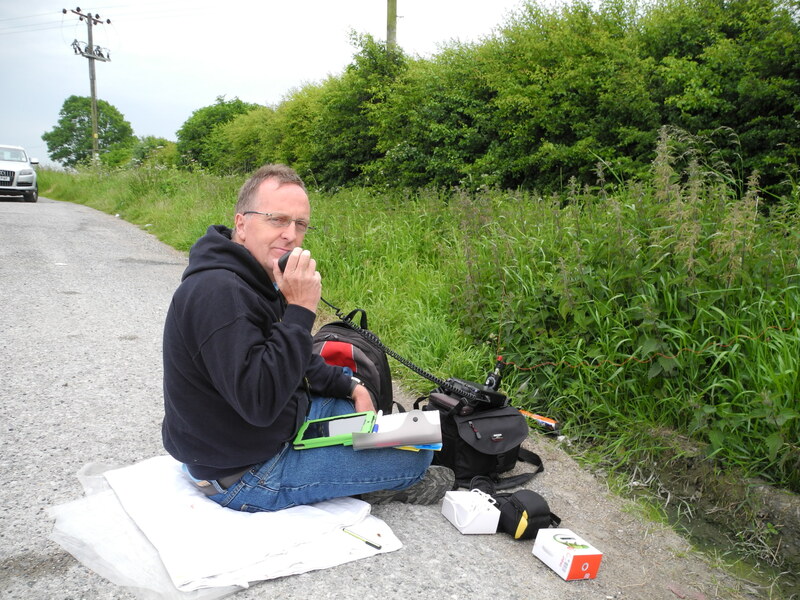 It was a very simple set-up with the FT-817 and the end fed half wave – laid across the top of a nettle patch by the side of the lay-by. After walking out and back into the activation area I managed to work 9 stations on 40m in less than half an hour and tried 2m as well but without any response on that band. Well, I now have one activator point – only 999 to go to the mountain goat! G6TUH, G6LUZ, G8MIA, G0RQL, M0MDA, GM0AXY, G3XQE, M6WSB, M3XIE.